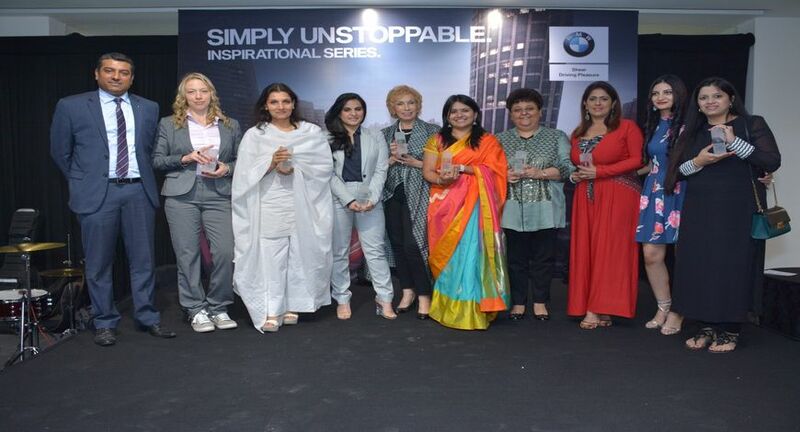 BMW Deutsche Motoren honoured 10 ladies whose work has been par excellence. 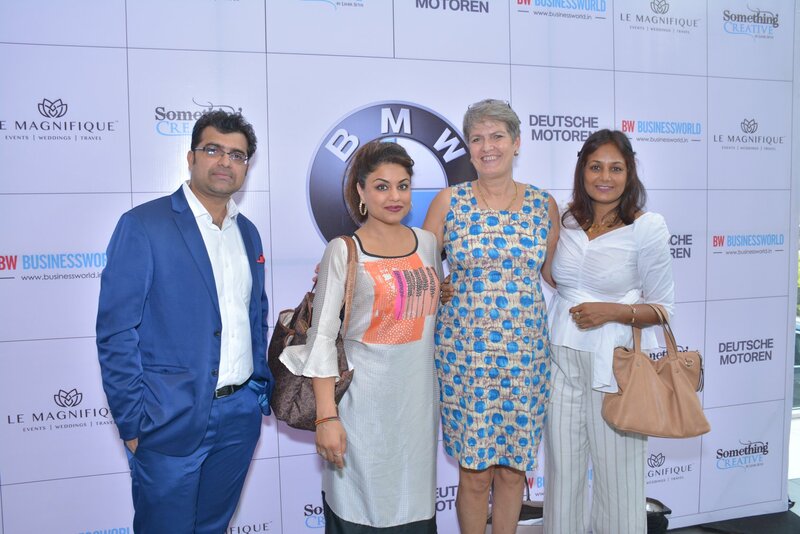 BMW Deutsche Motoren, in association with Le Magnifique Events and Something Creative, with BW BusinessWorld as Media Partner, put together alovely evening, a grand celebration of inspiring stories of successful women entrepreneurs who’ve not only contributed to the business world but also their societies. 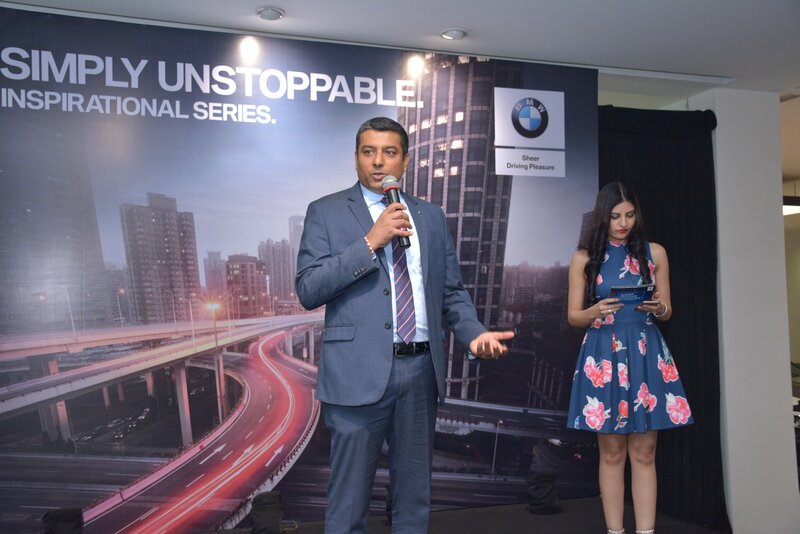 It was an occasion to honour the simply unstoppable women, whose spirit inspires us all. An industry veteran with over 35 years of experience, Dr. Blossom Kochhar is a widely respected name in the field of holistic beauty. She has pioneered aromatherapy in India and has a legacy of promoting organic living through her indigenous products. Born in one of the oldest textile printing families of Banaras, she was fascinated by colour and design. Even though the choice of career bothered her father, her desire to make a mark in the industry was persistent. She has vast experience in textile printing and is also a preliminary member of FDCI. She launched her eponymous label “Chhaya Mehrotra” in 2009 and hasn’t looked back since. Jasmin is a life coach, and helps people find and become their best selves. Her areas of expertise are holistic health (fitness, meditation, diet, mindset), intercultural diversity, self- and people leadership. Her first book "Change Me" is doing very well in the market. She runs a dental clinic since the past 28 years. Having started with nothing except her degree, today she and her team provides the best state of art, cutting edge dentistry in the country. 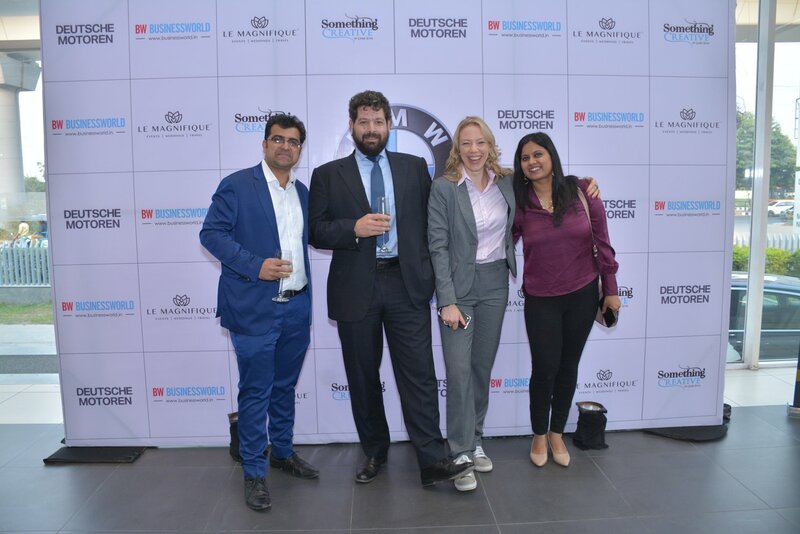 Over 90 percent of her clientele consists of expats from within India and overseas. Sangeeta S Bahl is the oldest Indian woman who scaled the world's tallest mountain peak Mount Everest (29,029 ft.), in May, this year, at the age of 53 years. She also became the first woman from Jammu and Kashmir to scale the mountain. Dr. Shruti is the Pioneer of the “Nada Vibronics” a Wellness Ecosystem, which uses various firms of Nada Yoga and Indic Vibrational technologies to heal and empower people Worldwide. She was awarded the Delhi Ratna Award in 2003 for her pioneering work with Spiritual healing sound and music, followed by an NRI award for enhancing international cultural relations. She was conferred with an Honorary Doctorate in December 2017 for her Global Contributions in Education and Wellness. One of the most famous dermatologists in the country, she specializes in the field of Aesthetic Medicine and Cosmetic Dermatology. She has had extensive training at London and Cambridge University for many years, and has been in practice for over 15 years.She has one of the most successful and trusted cosmetic dermatology practices in the country today. A popular name in the country, Sonal Jindal is a seasoned business woman, Founder and Director Medusa by Sonal Jindal , Managing Partner MEDUSA Source and Director Mood Board Consultancy. A Chartered Accountant and Post Graduate in Law, she is the Managing Director and CEO of KGS Advisors. She has been mentoring and advising entrepreneurs – across sectors and business stages to help build successful businesses. She is also Founder of Gviksh (A go green initiative), curator of Incupedia and StemEdkids (innovative learning for children). Vertica is the Director of Bigsea Marcom (I) Pvt Ltd, the Founder of WADE Asia (World Women Architects Artists Designers & Engineering Ecosystem), Editor-in-Chief, Surfaces Reporter magazine and the Co-Chairperson, Women Entrepreneurs Committee, PHD Chamber of Commerce & Industry. 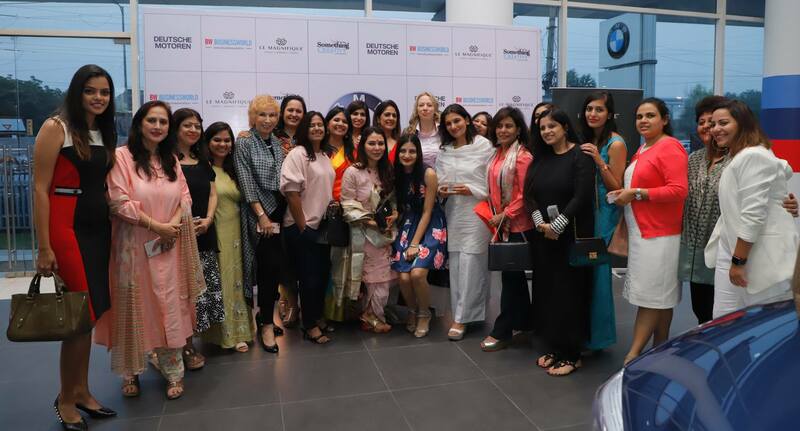 Joining us for the evening of honouring the spirit of these simply unstoppable women, were other like-minded women leaders. The evening was over wine & hors d’oeuvres ! The Music Band for the evening was “Minute of Decay” which played some great tracks making the evening even more beautiful.